All this iPhone 4 news not doing it for you? 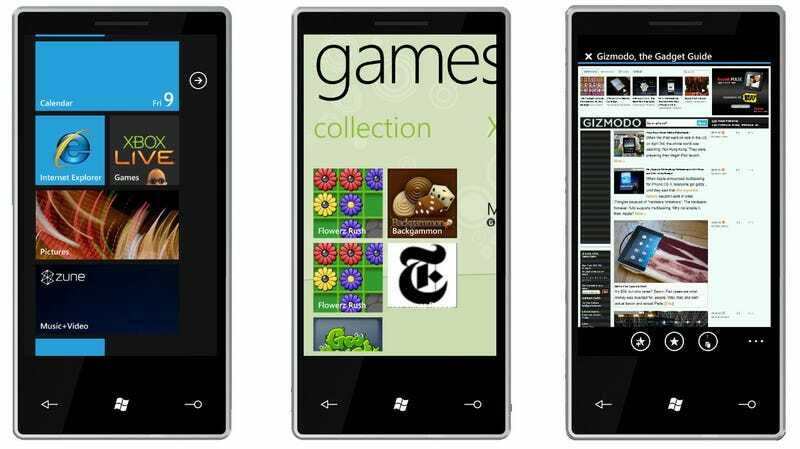 Still got Windows Phone 7 on the brain? There's a simple—and most importantly, free—way to try it out, right now, on your PC. Windows Phone 7 Series marks the first time Microsoft has done something legitimately exciting with its phone software in years, and by all counts, it looks fantastic. The new interface is like nothing we've seen on a phone before, and the experience of actually using a Windows Phone device is kind of stunning, no matter what smartphone software you're used to. So, how can you try it, half a year before it's supposed to hit stores? 1. When you download the Windows Phone 7 Development kit, you'll be led into an automated installer, which contains a whole range of development tools, from the XNA Game Studio to Silverlight to Visual Basic. Let the installer run its course—you don't need everything, but it's best not to mess with the options too much. Anyway, let it finish. 2. Once it's done, you may be prompted to restart your computer—go ahead. 3. When you're back up and running, open up Microsoft Visual Studio 2010 Express, which is the primary dev tool for constructing Windows Phone apps. 4. Once it's open, you should see a sort of dual-pane interface, almost like an HTML editor. From here, click on "New Project," either in the top left of the main window or from the File menu. 5. Click OK, to open up one of the app templates. It doesn't matter which one, really. 6. Press F5 to run the emulator. The first startup will take a minute or so, but once it's done, you'll be clicking around Windows Phone 7 as if you actually had a phone, floating right there in front of you. Sort of. Looks a bit sparse, right? Microsoft tucked most of the interesting stuff out of sight, leaving developers with this, a stripped-down piece of software that's just complete enough to test an app. Luckily, the default apps are there—they're just hidden. The version of the OS shipped for development is stripped down to almost nothing, with just a browser and some settings pages remaining. To play with the rest of the OS—the default apps, like email, Zune, Xbox Live, and whatnot—you need to load the emulator with an unlocked image. 7. The Windows 7 image file you downloaded earlier will be in either a RAR or BIN format—isolate the BIN file, because that's the actual operating system. 10. Now, rename the new image file WM70C1.bin, to replace the old one. 11. Reopen Visual Studio, press F5, and hey! There it is. From here you'll be able to click around Windows Phone 7 as it exists today. This is almost the exact same version of the OS we got to play with back at launch, so it should give you a pretty good idea as to what Microsoft's going for with their new software. If you have more tips and tools to share, please drop some links in the comments-your feedback is hugely important to our Saturday How To guides. And if you have any topics you'd like to see covered here, please let me know. Happy emulating, folks!